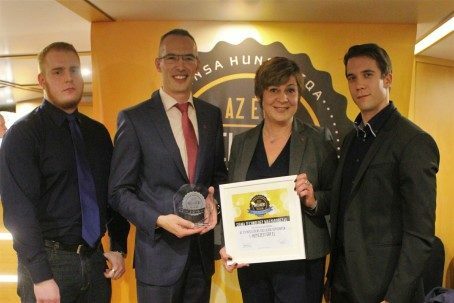 This year is the third time that Mensa HungarIQa, the Hungarian branch of Mensa, the largest and oldest high IQ society in the world, organized the Intelligent Company of the Year competition. This year 22 companies have signed up, and a total of about 1000 employees have written Mensa’s standardized IQ test. According to the rules, the winner of the Intelligent Company of the Year award is the company who has the highest number of employees with a “Mensa-score”, that is, a result which is in the top 2% of the population. Sigma Technology Hungary has again come out on top in the medium-sized enterprises category. Pilar Kft. and Nokia have respectively won in the small and large enterprises category. For more information, contact György Nagy (gyorgy.nagy@sigmatechnology.se).